Milovan Đilas (pronounced [mîlɔʋan dʑîlaːs]) (Serbian Cyrillic: Милован Ђилас; 4 June or 12 June 1911 – 20 April 1995), was a Yugoslav communist politician, theorist and author. He was a key figure in the Partisan movement during World War II, as well as in the post-war government. A self-identified democratic socialist, Đilas became one of the best-known and most prominent dissidents in Yugoslavia and the whole of the Eastern Bloc. Born in Podbišće near Mojkovac, Kingdom of Montenegro, he joined the Communist Party of Yugoslavia as a University of Belgrade student in 1932. He was a political prisoner from 1933-36. In 1938 he was elected to the Central Committee of the Communist Party and became a member of its Politburo in 1940. In April 1941, as Nazi Germany, Fascist Italy and their allies defeated the Royal Yugoslav Army and dismembered the Kingdom of Yugoslavia, Đilas helped Josip Broz Tito establish the Yugoslav Partisan resistance, and was a guerrilla commander during the war. Following Germany's attack on the Soviet Union on 22 June (Operation Barbarossa), the Communist Party of Yugoslavia's (KPJ) Central Committee decided that conditions had been created for armed struggle, and, on 4 July, passed the resolution to begin the uprising. Đilas was sent to Montenegro to organize and raise the struggle against the Italian occupying force, which on 12 July 1941 proclaimed the fascist puppet entity Kingdom of Montenegro run by Sekula Drljević, and closely controlled by the Italian authority of Mussolini's confidant Alessandro Biroli. The Uprising in Montenegro which Đilas had an important role in was a national one, spanning ideological lines, and large parts of Montenegro were quickly liberated. Đilas remained in Montenegro until November. In early November 1941 Tito dismissed Đilas from the command of Partisan forces in Montenegro because of his mistakes during the uprising, including his "leftist errors". Tito emphasized that Đilas made mistakes because he organized a frontal struggle of armies against a much stronger enemy instead of connecting the Partisan struggle with the people's uprising and adopting the Partisan methods of resistance. Đilas was appointed as editor of the paper Borba, the Party's main propaganda organ. Đilas then left for the communist-controlled town of Užice in Serbia, where he took up his work for Borba. Following the withdrawal of the Supreme Commander Tito and other Party leaders to Bosnia, Đilas stayed in Nova Varoš in the Raška (on the border between Serbia and Montenegro); from there he retreated with the units under his command in the middle of winter and in difficult conditions to join the Supreme Staff. At this time, there were no serious divisions between communists and non-communists among the insurgents. It was only in March of next year that he went back again to Montenegro, where in the meantime a civil war between Partisans and Chetniks had broken out. Momčilo Cemović, who has dealt mostly with this period of Đilas' war activities, believed that the CPY Central Committee and the Supreme Staff had sent Đilas to ascertain the actual state of affairs and to dismiss the communist leaders responsible. In March 1944, he went as part of the military- and party-mission to the Soviet Union. During this time he met among others with Georgi Dimitrov, Vyacheslav Molotov and Joseph Stalin. He fought among the Partisans to liberate Belgrade from the Wehrmacht. With the establishment of the Federal People's Republic of Yugoslavia, Đilas became Vice-president in Tito's government. Djilas later claimed to have been sent at that time to pressure Italians to leave from Istria. Đilas was sent to Moscow to meet Stalin again in 1948 to try and bridge the gap between Moscow and Belgrade. He became one of the leading critics of attempts by Stalin to bring Yugoslavia under greater control from Moscow. 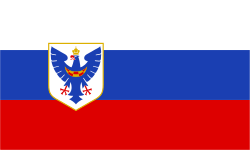 Later that year, Yugoslavia broke with the Soviet Union and left the Cominform, ushering in the Informbiro period. Initially the Yugoslav communists, despite the break with Stalin, remained as hard line as before but soon began to pursue a policy of independent socialism that experimented with self-management of workers in state-run enterprises. Đilas was very much part of that, but he began to take things further. Having responsibility for propaganda, he created a platform for new ideas and he launched a new journal, Nova Misao ("New Thought"), in which he published a series of articles that were increasingly freethinking. Đilas was widely regarded as Tito's possible successor and in 1953 he was about to be chosen President of Yugoslavia. He became President of the Federal Assembly of the Socialist Federal Republic of Yugoslavia, but he only held office from 25 December 1953, to 16 January 1954. Between October 1953 and January 1954, he wrote 19 articles (only 18 were published) for Borba, the official newspaper of the League of Communists of Yugoslavia, where he stated that a new ruling class was formed in Yugoslavia, after many high military and state officials received benefits and expensive houses in the best parts of Belgrade. Tito and the other leading Yugoslav communists saw his arguments as a threat to their leadership , and in January 1954 Đilas was expelled from the Central Committee of the party, of which he had been a member since 1937, and dismissed from all political functions for his criticism. He resigned from the League of Communists soon afterwards, in March 1954. On 25 December 1954, he gave an interview to The New York Times in which he characterized the situation in Yugoslavia as "totalitarian", adding that his country was ruled by "undemocratic forces" and "reactionary elements". He also appealed for the formation of "a new democratic Socialist party", and thus for a two-party system. For this "hostile propaganda" he was brought to trial and conditionally sentenced to 1.5 years in prison. On 19 November 1956, Đilas was arrested following his statement to Agence France Presse opposing the Yugoslav abstention in the United Nations vote condemning Soviet intervention in Hungary and his article to The New Leader magazine supporting the Hungarian Revolution. He was sentenced to three years imprisonment. In 1957, Đilas published abroad The New Class: An Analysis of the Communist System, which he had already sent to the American publisher Praeger before he was jailed. In the book he argued that communism in Soviet Union and Eastern Europe was not egalitarian, and that it was establishing a new class of privileged party bureaucracy, who enjoyed material benefits from their positions. The book had a great success and was translated into more than 40 languages. For The New Class Đilas was sentenced in 1957 to another seven years imprisonment, or ten in all, taking into account his previous term. In prison Đilas completed a massive and scholarly biography of the great Montenegrin prince-poet-priest Njegoš and he also wrote novels (Montenegro) and short stories. In 1958, he published abroad the first volume of his memoirs, about his youth in Montenegro, entitled Land Without Justice, which he had finished in 1954, but was rejected by Yugoslav publishers. Đilas was conditionally released on 20 January 1961, after completing four years and two months in prison. During 1961, Đilas was repeatedly threatened by the Serbian government of being sent back to jail for his contacts with foreign journalists and scholars. He would be imprisoned again in April 1962 for publishing abroad Conversations with Stalin, which became another international success and Đilas personally considered his greatest work (see Rise and Fall). Conversations with Stalin was written in 1961 after his release, although it had long been on his mind before (Rise and Fall, p. 396). The manuscript was not smuggled out of prison, as it has been stated, including by David Pryce-Jones in "Remembering Milovan Djilas" (see below the external links). For Conversations with Stalin Đilas was sentenced in August 1962 to another five years – or fifteen, added to the earlier punishments – allegedly for having "revealed state secrets", which he denied. The book's references to Albania and its possible union with Yugoslavia were considered most embarrassing by the communist leaders. During his internment Đilas wrote several novels and translated John Milton's Paradise Lost into Serbo-Croatian by utilizing toilet paper. On 31 December 1966, Đilas was granted amnesty and freed unconditionally after nine years in jail. He was never to be imprisoned again. He continued as a dissident, living in Belgrade until his death on 20 April 1995. "Our system was built only for Tito to manage. Now that Tito is gone and our economic situation becomes critical, there will be a natural tendency for greater centralization of power. But this centralization will not succeed because it will run up against the ethnic-political power bases in the republics. This is not classical nationalism but a more dangerous, bureaucratic nationalism built on economic self-interest. This is how the Yugoslav system will begin to collapse." "Milošević still has possibilities.... The liberalization you see has a bad cause. It is the consequence of national competition between Serbia and the other republics. Eventually Yugoslavia might be like the British Commonwealth, a loose confederation of trading nations. But first, I am afraid, there will be national wars and rebellions. There is such strong hate here." "Milošević's authoritarianism in Serbia is provoking real separation. Remember what Hegel said, that history repeats itself as tragedy and farce. What I mean to say is that when Yugoslavia disintegrates this time around, the outside world will not intervene as it did in 1914.... Yugoslavia is the laboratory of all Communism. Its disintegration will foretell the disintegration in the Soviet Union. We are further along than the Soviets." In 1987, Đilas was interviewed by the neoconservative magazine Encounter on the subject of Soviet leader Mikhail Gorbachev's economic and political reforms in the Soviet Union. Đilas described Gorbachev's actions as a "strict necessity. They have come to realize what other Communists in Yugoslavia, Poland, Hungary, Czechoslovakia and China realised much earlier—namely that Communism doesn't work. It works neither at the economic level nor at the level of satisfying essential human needs and liberties... Communism is a 19th-century relic and a prescription for disaster." Đilas was dubbed by the Serbian nationalists the "creator of the separate Montenegrin ethnicity" (as opposed to Serbian). In the interview to the Borba Daily on 1 May 1945, Đilas stated that "Montenegrins have Serbian origins", but had over time evolved into a separate ethnic group and ethnicity. Đilas made great contributions to Montenegrin literature and historiography through his works. Later in life, from the mid 1980s, Đilas referred to himself as "Serbian" (as does his Belgrade-born son Aleksa, a Harvard-graduate sociologist). After he left the party, Đilas denied there existed a separate Montenegrin ethnicity and national identity, especially in his books Njegoš: Poet-Prince-Bishop and Rise and Fall. The New Class: An Analysis of the Communist System, 1957. Conversations with Stalin; Rupert Hart-Davis. London 1962. The Leper and Other Stories, 1964. The Unperfect Society: Beyond the New Class, 1969. The Stone and the Violets, 1972. Memoir of a Revolutionary, 1973. Parts of a Lifetime, 1975. Tito: The Story from Inside, 1980. Of Prisons and Ideas, 1986. Meaney, Thomas, "Little Old Grandfather," The London Review of Books, May 19, 2016. Lalić, Boris, Milovan Đilas, Belgrade: Novosti, 2011. Reinhartz, Dennis, Milovan Djilas: A Revolutionary as a Writer, New York: Columbia University Press, 1981. Đilas was a contributor for the 1992 Radio Television of Serbia documentary series entitled Yugoslavia in War 1941-1945. Đilas is mentioned in Saul Bellow's fiction Humboldt's Gift, where he writes about Joseph Stalin's "twelve-course all-night banquets" and the theme of boredom. ↑ West, Richard (15 November 2012). Tito and the Rise and Fall of Yugoslavia. Faber & Faber. p. 36. ISBN 978-0-571-28110-7. ↑ Irvine, Jill A. (1993). The Croat Question: Partisan Politics in the Formation of the Yugoslav Socialist State. Westview Press. p. 128. ISBN 978-0-8133-8542-6. Milovan Djilas, who had been removed from Montenego the previous fall for his "leftist errors,..."
↑ Ramet 2006, p. 152. ↑ Djilas Milovan: Conversations with Stalin. Translated by Michael B. Petrovich. Rupert Hart-Davis, Soho Square London 1962, pp. 16–17. ↑ Djilas Milovan: Conversations with Stalin. Translated by Michael B. Petrovich. Rupert Hart-Davis, Soho Square London 1962, pp. 33–58. 1 2 3 "Kaplan, Robert. Balkan Ghosts". Ralphmag.org. Retrieved 12 May 2011. ↑ "Djilas on Gorbachov", Encounter No. 23, Vol. 71. 1987. p. 4. Wikimedia Commons has media related to Milovan Đilas.